1 'Colours of Faith' Pencil. 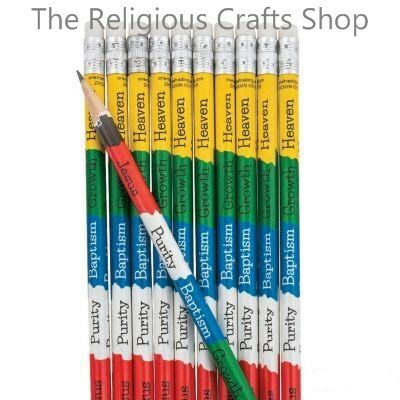 These pencils have a simple and colourful design which explain the meanings of each colour, which are perfect for both adults and children. They are ideal to give out in Sunday Schools or sell for fundraising. Pencils measure 19cm.